Life Premium Waiver Enhancement - Disability Management Services, Inc. The skills and methodologies necessary to evaluate disability are fundamentally different than the skills and methodologies needed to assess death claims. 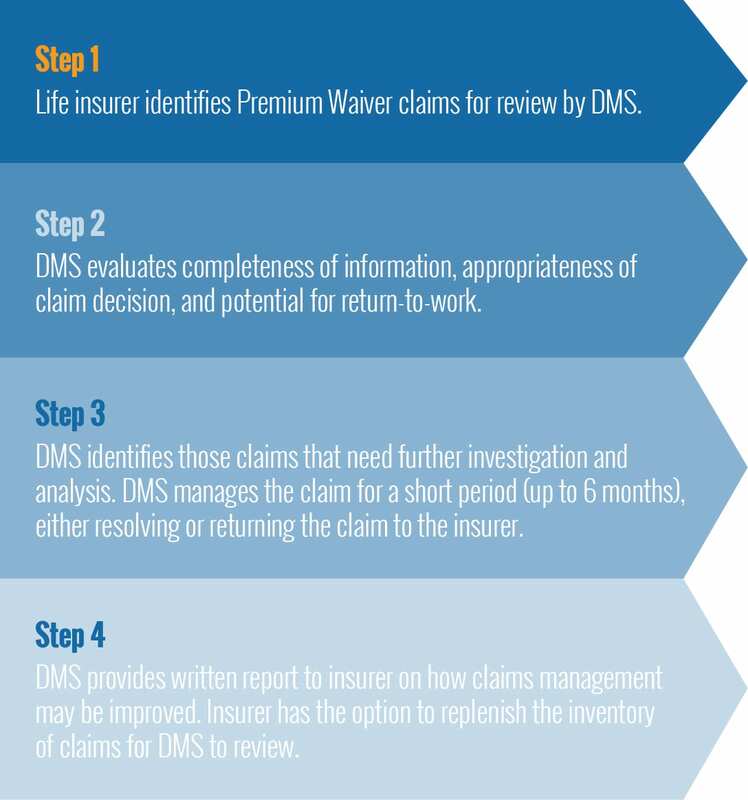 Responsibility for Life Premium Waiver and Waiver of Specified Amount Rider claims management typically resides with the Life insurance claim department. Each premium waiver claim must be evaluated based upon the claimant’s unique medical impairment in terms of how it impacts the claimant’s ability to perform his/her occupation. Life insurance claim departments are usually not equipped with the specialized experience and clinical, investigative and occupational resources necessary to accurately adjudicate disability benefit eligibility and anticipate the potential recovery and return-to-work of disabled claimants. Changes in the policy definition of disability are often ignored or improperly applied. Premium Waiver and Waiver of Specified Amount Rider Claims are long duration benefits (To Age 65 or Lifetime) and can have large reserve liabilities.